Atlanta Agent Magazine published its annual special issue, highlighting outstanding residential professionals in the Metro Atlanta area. 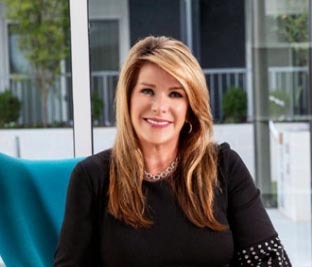 Atlanta, December 3, 2018 – LeAnne Long, Broker/Owner with RE/MAX Around Atlanta East, has been recognized in Atlanta Agent magazine’s 2018 Who’s Who in Residential Real Estate, an annual issue that showcases notable real estate agents, loan officers, new construction professionals, and affiliates. Ms. Long was selected to be part of the 2018 group of preeminent real estate executives based on nominations and a successful career demonstrating the highest level of professionalism. Ms. Long has been listing and selling real estate in the East Atlanta market since 2004, working with buyers, sellers, builders, and investors. Known as a resale specialist and currently selling new homes, estates, and luxury resale properties, she also assists buyers in the growing 55+ retirement market. Atlanta Agent magazine is Atlanta’s leading source of local news and information for the well-informed residential real estate professional. Through its robust website and newsletters, Atlanta Agent provides real estate professionals with the breaking news and in-depth features that they need to build their business and stay connected to the community.